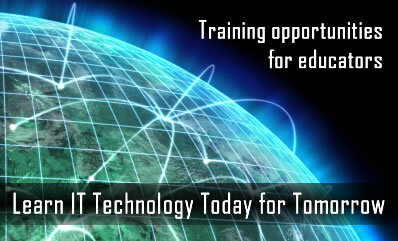 The Center is committed to continuing to provide high-quality, time-compressed, affordable hands-on information and computing technology professional training opportunities for Washington State Educators. Thus, up to three training opportunities are being offered through the Center of Excellence for Information and Computing Technology. This took place on Friday/Saturday, November 4/5, 2011, 9:00 a.m.-3:30 p.m. (Friday) & 8:30 a.m.-1:00 p.m. (Saturday), Bellevue College.